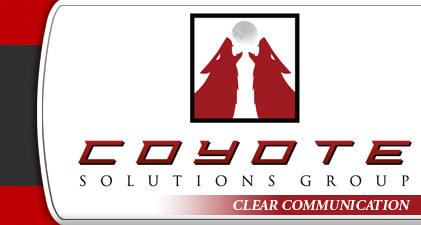 Coyote Solutions Group, founded in 2003, is an independent technology consulting and implementation firm. We offer expert knowledge, design, implementation and turnkey solutions to multiple vertical market segments including Telecommunications, Manufacturing, Professional and Retail. 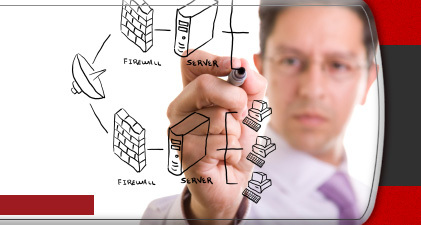 Coyote Solutions Group is a leading provider of solutions for complex IT environments. We bring over 50 years of combined voice and data experience to the ever-changing technology industry. All of our employees are Cisco SMB Select certified. We understand the issues and challenges technology managers face on a daily basis. Our founding principles are based on enterprise perspective, technical expertise, customer service, and personal integrity. We deliver on these principles and provide practical, cost-effective solutions through understanding our client’s business needs, current technology trends and accurate project planning. Computers and technology are an integral part of today’s workplace. Businesses, especially small to medium businesses, simply do not have the staffing resources or, in some cases, the expertise needed to handle special projects. In most situations a dedicated IT person is not warranted, nor is it cost effective, to handle the day-to-day IT requirements. As an advanced technology services company, we fill the gap providing technical, operational and implementation expertise as well as consulting and project management in voice and data solutions. We let you focus on what you do best. No hidden agendas - We help you identify the real issues and turn negatives into positives, provide solutions and recommendations to make your business more efficient and ultimately, more profitable. Simply put - We get the job done right the first time!